Suitable for low to medium dust loading applications. Good,general purpose media for standard applications. Non-washable-dry clean or vibrate / vacuum only. 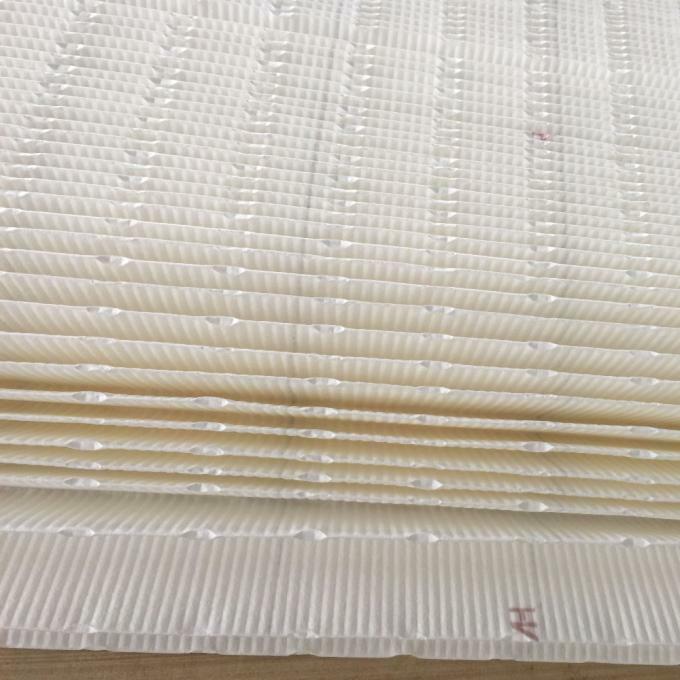 Higher strength and efficiency than 100% cellulose. Non-washable-dry clean or vibrate/vacuum only. Media is chemically treated to inhibit combustion. 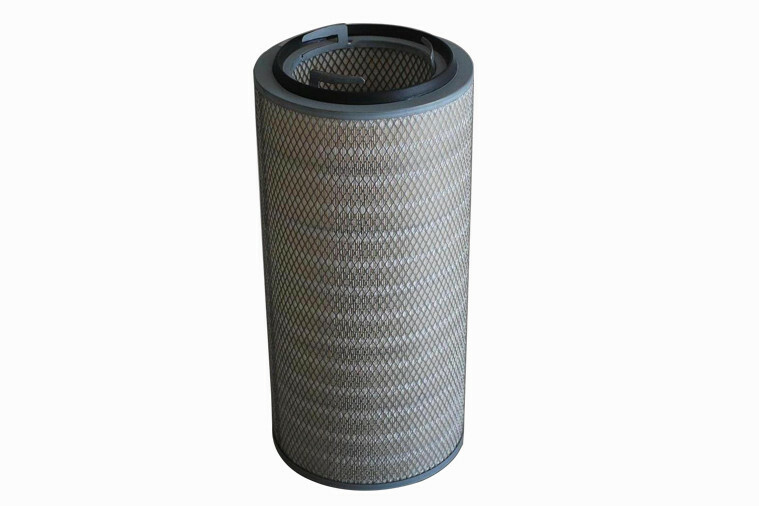 Used in applications where sparks or burning particulate may reach the filters. Open pleat structure allows for use under high dust loading conditions. Very good dust release,even under moist,humid conditions. 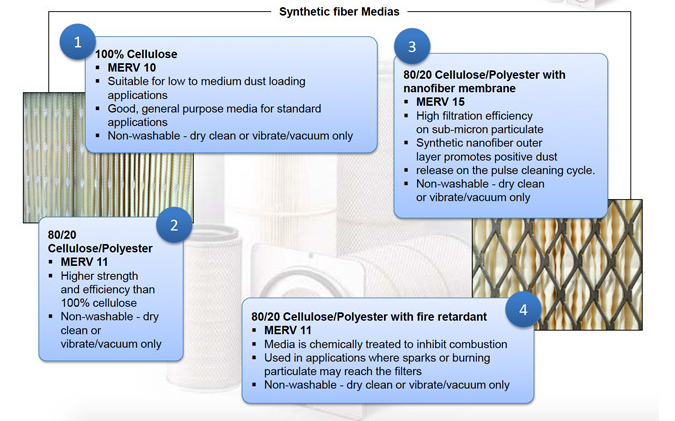 Extremely high efficiency on su-micron particulate. Non-stick Teflon surfacce promotes positive dust release on the cleaning cycle.